Ex-Azov honcho set to kill enemies and pray for forgiveness. 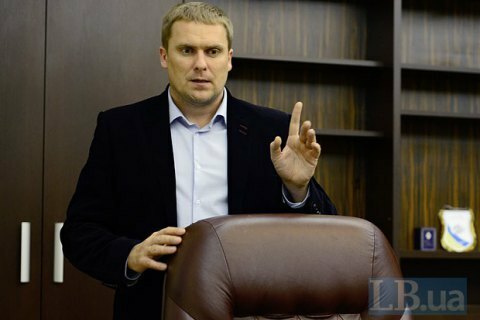 The first deputy head of the National Police Vadym Troyan described the war in the East of Ukraine as "fratricidal". "During the job appraisal I was asked how I felt about the killings in the war. I said that the war in the East really is a fratricidal war, and it is a great sin for all of us that we shall pray to be forgiven for," Troyan said in an interview to the Segodnya daily. "However, there also are concepts of "homeland" and "enemy". And I do not feel any regrets when destroying the enmy." In the beginning of the war in Donbas, Troyan was the deputy commander of the Azov volunteer battalion. Starting in October 2014, he led the police in the Kiev region. In March, Troyan became the second man in the national police.